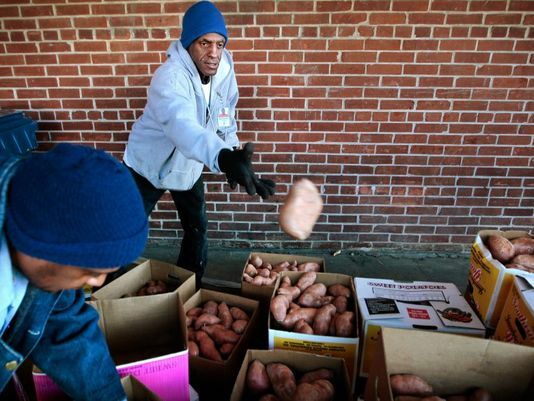 Fo od banks in Memphis and America expect an infusion of fresh food following the $1.1 trillion spending and tax bill that President Barack Obama recently signed into law. Many who attended were also there to visit the 'mobile pantry' hosted by the Mid-South Food Bank. Prescreened families took home a week's worth of rice, strawberries, red apples, lettuce, various meats and one sweet, such as cake. The food bank had enough supplies for roughly 500 families, said Andrew Bell, marketing manager. June 28, 2016 The Mid-South Food Bank has received a $5,500 donation from Archer Daniels Midland, money that will go toward distributing high-nutrition food through the Food Bank’s network of partner food pantries, soup kitchens, shelters and other agencies that provide food for those in need. The donation was given through ADM Cares, a social investment program that directs funds to initiatives and organizations that drive social, economic and environmental progress worldwide. The program comprises three focus areas: supporting the responsible development of agriculture, improving the quality of life in Archer Daniels Midland communities, and fostering employee giving and volunteer activities. The Mid-South Food Bank supplies food and other grocery items to charitable feeding programs in 31 counties in West Tennessee, North Mississippi and eastern Arkansas. Organization is focusing more on nutrition.